When it comes to men’s suits, there are different levels of looking good. It’s certainly appropriate to go for the basics, with a nice suit that fits well and has an appealing mix of colors and materials. You can also raise your game by wearing a suit that goes beyond acceptable and enters the realm of wonderful, noticeable, and exciting. Not only will you look splendid in great new formal wear, but you will also feel your best and exude confidence in every move you make at the office, boardroom, or dinner party. 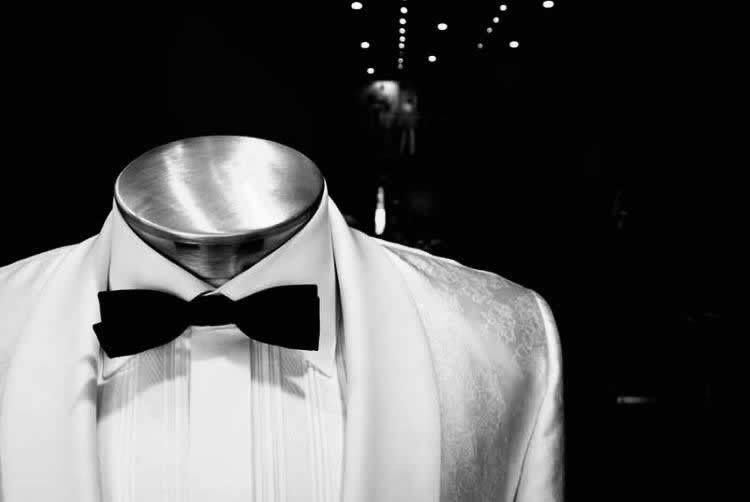 With everything working together, our bespoke suits provide excellent fit, sophisticated fabrics, and superior looks. You will look your best whatever the occasion. Understanding what to wear for each occasion, especially if you are new to the game, can be daunting. At Pepi Bertini, we are here to help you find the perfect look, whether you are in need of a tuxedo, a black tie affair, a white tie outfit, or just a great-looking suit for a variety of occasions. Not only will you be set up with the right style for each event, you will also get the proper fitting that allows you to move with ease and comfort throughout your day or evening. Autumn ushers in certain events and looks that a well-dressed man should be aware of and that bring a subtle distinction to the written or unwritten dress code. For fall, a blazer is always a nice choice, with the trend heading toward ever more casual styles and bolder colors. Still, the classic buttoned-up men’s suit with a stunning tie will always be in vogue. At Pepi Bertini, you can find the happening colors and fabrics for fall formal wear. The perfect tuxedo is highly personalized. You wouldn’t be caught dead in a tuxedo with a loose fit. Our team is here to help you find a style you like, and then create a completely customized fit that you will be proud of. From head to toe, we will measure and adjust so that you can feel comfortable on the most important days of your life. Every wedding is memorialized with hundreds of pictures. Don’t let your suit be a distraction. 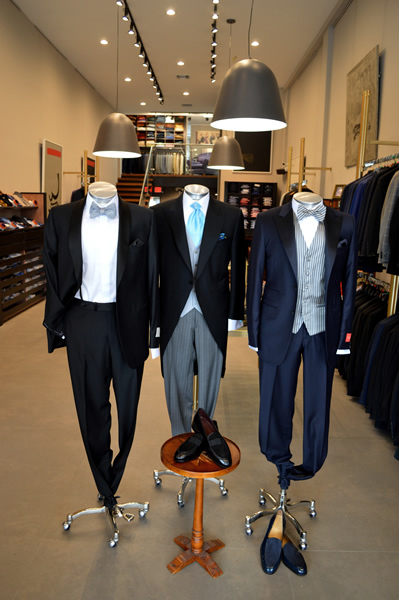 When you choose a suit from Pepi Bertini, we will help you choose the perfect men’s style to match the atmosphere of the wedding, while also taking into account your personal comfort and preferences. You can also rest assured knowing that your suit is made of the highest quality materials and will last for years to come. Perhaps you already have a suit, but you need a color-matched shirt to go with it. Pepi Bertini is proud to have a large selection of basics such as shirts and dress pants so you can piece together an outfit for any occasion. 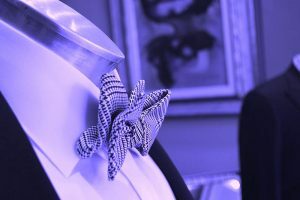 Let us help you find the perfect pleat, or measure your collar for just the right fit. When you’re done, check out our collection of fine blazers to top off any ensemble. No formal look is ever complete without the accessories to go with it. That’s why we have a variety of shoes, ties, cufflinks and more to accent your custom Pepi Bertini attire. You will be the talk of Miami’s fashion scene when you arrive in your pristine suit with colorful embellishments. If you’re ready to look and feel your absolute best, call us at 305-461-3374 or request an appointment with our experts in Coral Gables, Florida today. 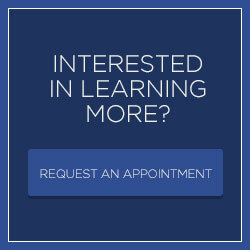 Book a fitting with Pepi today!